Cooperating with non-governmental, multilateral and bilateral and diplomatic organizations is an essential part of Radio Al-Salam’s work. By providing information about humanitarian efforts, we aim at making the work easier to understand for its beneficiaries. It contributes to acceptance and understanding among the local population and prevents misunderstandings or unrealistic expectations. Since our journalists are all Iraqis and in regular contact with displaced people, they aware of the beneficiaries’ needs and concerns. As a result, we are committed to raising awareness and spreading information on humanitarian topics such as health, protection or education. Covering an event or a project with a field report. This is an opportunity to communicate your achievements and to let organizers and beneficiaries share their experience. Our team is used to tackling sensitive issues and trained to respect and follow humanitarian safeguards, especially regarding children, displaced people or survivors of violence. Recording and broadcasting your jingle, communiqué or advertisement for information, distribution or awareness-raising purposes. It can, for example, include publicity for your event or promoting a humanitarian campaign targeting our listeners. Our team is at your service, to support the design of your jingle and to select broadcasting times to ensure the reach of your message is optimized. We can record the voice(s) for your ad in our high-quality studio and edit it thanks to our professional equipment. Exemple: Radio Al-Salam is involved in the anti-fraud campaign led by UNHCR and implemented by the NGOs ACTED and Un Ponte Per. From October to December 2017, we warn refugees and IDPs in Northern Iraq about fake assistance on food or visa applications. Indeed, some malevolent people promise humanitarian services against a sizeable amount of money, but they never provide the promised support. 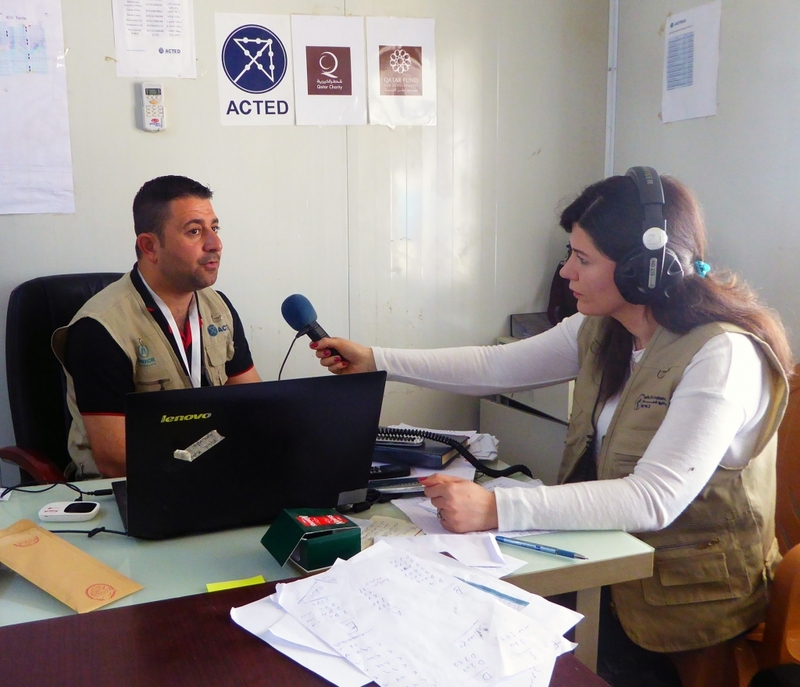 It is our duty, as humanitarian radio, to inform our listeners and to head them toward the relevent authorities. The jingles hav been co-designed by UNHCR and ACTED, and recorded by the team of Radio Al-Salam. Exemple: Since October 2017, Radio Al-Salam is partnering with the NGO Handicap International, to raise awareness about mines in retaken areas. It informs listeners about the appearence of mines and how to avoid it when they come back to their villages and homes. This jingle has been designed by Handicap International and the local authority responsible on mine prevention, IKMAA. It has been recorded, edited and broadcasted by Radio Al-Salam. Please contact us anytime at radioalsalam@gmail.com or +964 770 4804 169.